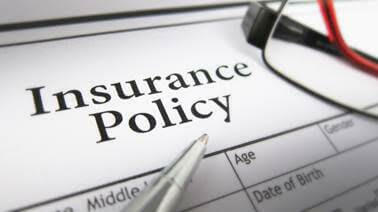 We have over 20 years’ experience acting for insurance companies and companies who are self-insured. We don’t dump the work on juniors. As the firm’s founder and supervising lawyer, Neal plays an active role in the progress of each case. Neal, his associates and paralegals talk about how to tackle each file. Together we decide on what tactics to employ, debating the pros and cons of options available. Our clients benefit from the teamwork and rigorous approach. There are a surprising number of weak or frivolous claims that clog the courts, waste time and money, add to insurance costs for the general public, and bring disrepute to the administration of justice. Steinmans Trial Lawyers subscribes to the philosophy that the best advocates maintain perspective and balance in the practice of law. One of the ways Neal achieves balance is by acting for insurers. We have experience in fire loss, bad faith, defamation, disability, malpractice, employment and human rights, motor vehicle, transportation, errors and omissions, and directors’ & officers’ liability. We realize that defence work can be complicated, even messy. We have experience in cases involving allegations of breach of fiduciary duty, negligent and fraudulent misrepresentation, duties to perform employment obligations faithfully, knowing receipt, and breach of confidence. Some of the personal injury defences we have conducted have involved claims by plaintiffs for mental injuries or conditions including depression, PTSD, anxiety, or concussion/brain injury. We are tenacious, yet approachable. Claims examiners and inhouse lawyers enjoy working with us for their Insurance Defence needs.